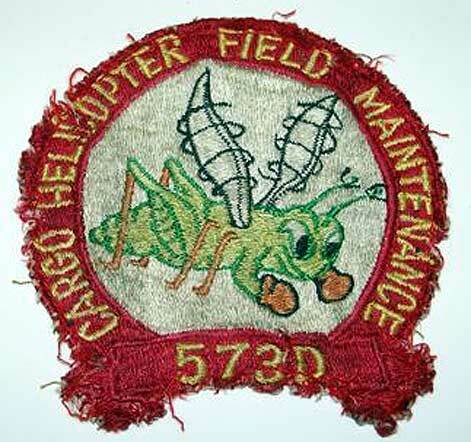 The 573rd Transportation Detachment was the very important maintenance unit within the 33rd Transportation Company/ 118th Assault Helicopter Company. 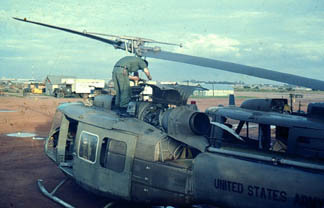 Normally commanded by a Transportation Corps officer, the Detachment was responsible for all the second and third echelon level maintenance on the helicopters. The front line maintenance was accomplished by the Crew Chief. 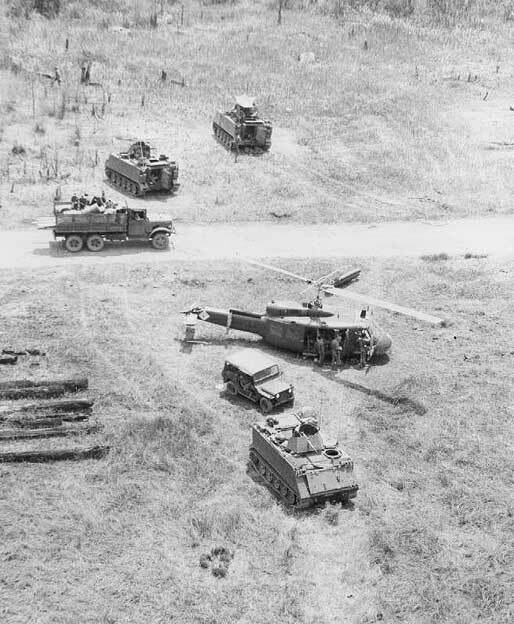 Then he was backed up and supported by the 573rd Transportation Detachment. 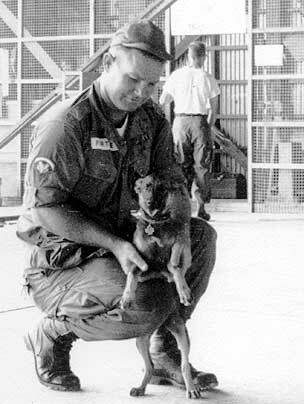 "Major Joe Henderson the CO of the 33rd at Ft. Irwin placed me in command of the 573rd the day we were alerted for deployment to Vietnam (1 Aug 62). 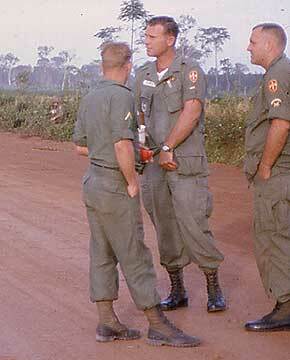 I remained the CO as a 1LT until my successor, CPT James R. Hughes, took over in August 1963." 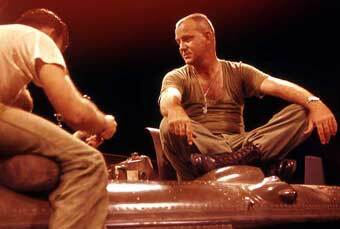 "Until we arrived in Vietnam, the unit was armed with .45 cal pistols for aviators and my troops had M-1A2 carbines(Full or Semi-auto)750 rds/min. type. The M-14 was too large to use effectively in the H-21's as a personal weapon, so the carbines were issued to the crew chiefs as well as some of the aviators. The unit's first kill was made by one of these carbines(a full magazine into the poor fellow). On arrival, the unit was issued 2 ea. .30 cal M1918A6 Browning machine guns, per helicopter. 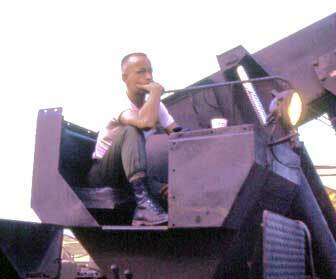 We had to set up our own gunners school and the instructor was CWO Billy Reneau who did a great job training the crews." 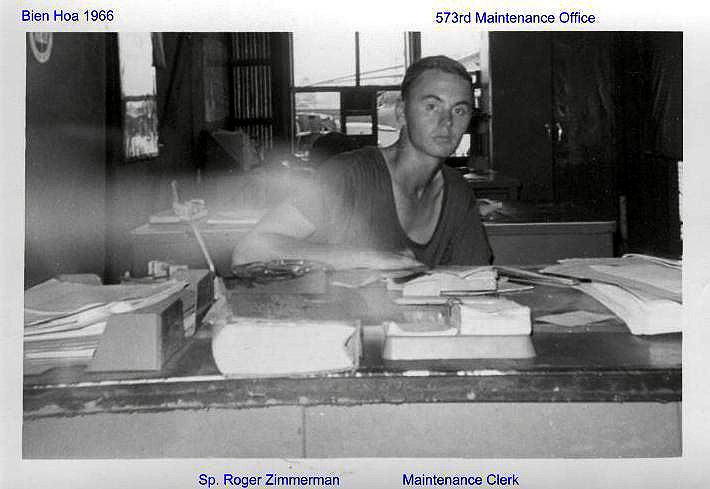 "The 573rd began with a TO&E of 55 enlisted personnel and one officer(Me) and one warrant officer(CWO Schommer). It grew to over 80 personnel with one officer and two warrant officers. I do believe that I was the only 1LT to command one of the maintenance detachments." 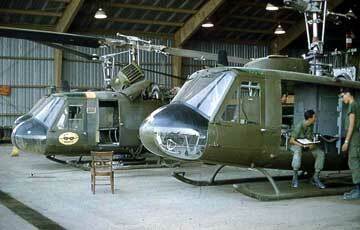 "We arrived in -country with 20 CH-21B & C "Shawnee" helicopters. When I departed in August 1963 we had 18. 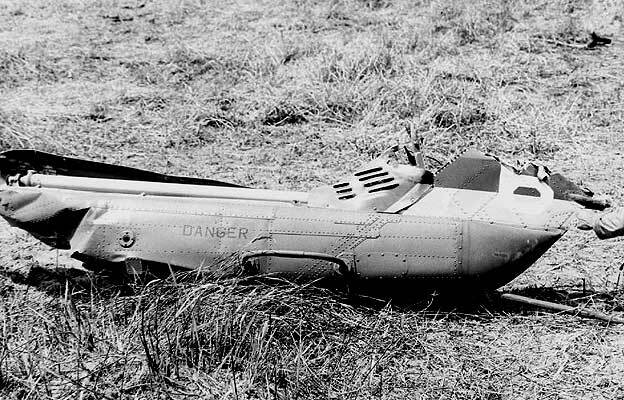 One crashed south of Bien Hoa(Long Binh) after an engine failure and upon landing the right main landing gear hit a rather large ant(termite)hill and rolled on its side. 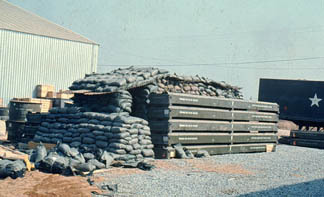 The 611th Transportation Company(Direct Support) in Vung Tau took responsibility for the recovery. They chopped it in half and delivered it back to Bien Hoa!! 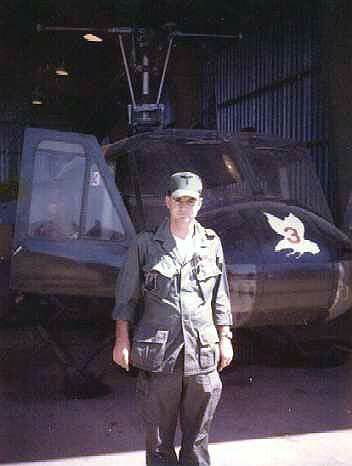 MAJ. Henderson was not happy with me for letting the 611th "destroy" one of his helicopters and I never made that mistake again! 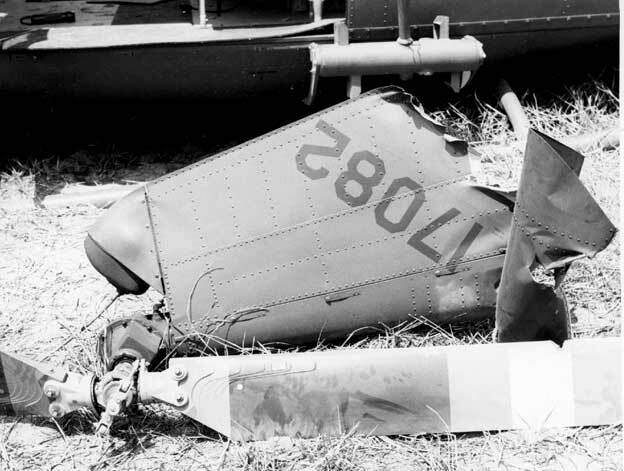 The second CH-21 was lost in the area of the Ho Bo woods after an engine failure and the VC destroyed it before we could recover it." MG Brandt also remembers that the 33rd or the 573rd did not have fixed radio call sign dedicated to a maintenance aircraft during the early years. 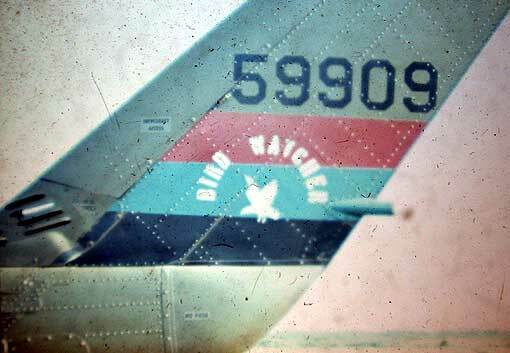 However, it seems by 1965 the call sign was fixed and exclusively used. It is clear that from the first, the maintenance/recovery aircraft was a flying mini-machine/ parts shop complete with test pilot, TI and mechanics. 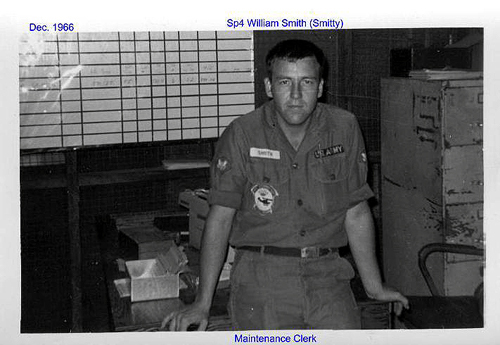 The maintenance aircraft always flew with the unit on Company sized missions and was immediately available to address hostile or non-hostile maintenance problems that arose. Note--Thanks goes to 1LT Robert Brandt(now MG Robert Brandt, Ret.) for his detailed information above. The T O & E for the 118th Aviation Company(AML) included a Service Platoon which, as can be seen by the above sign, an aircraft maintenance section. 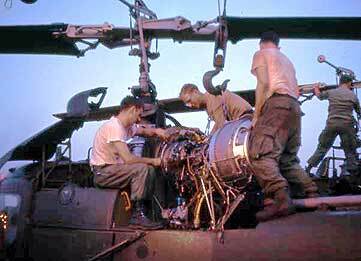 In addition, there was the attached 573rd Maintenance Detachment to augment the service platoon, thus insuring sufficient personel and expertise to provide needed helicopter maintenance. 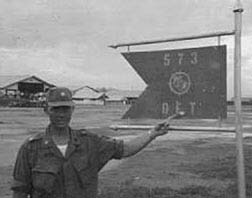 In the later years(68-71) the Service Platoon was blended into the 573rd Maintenence Detachment and basically eliminated. 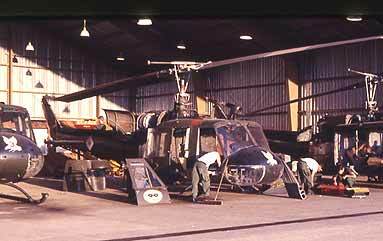 By early 1965 the name and call sign of the maintenance/recovery aircraft was known as "Load Master". 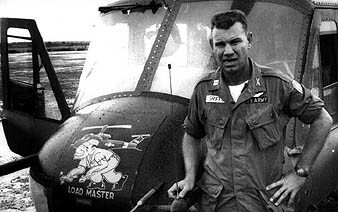 According to CPT James W. "Bill" Griffin, the 573rd Maintenance Detachment CO from Jun 65-Dec 65, his call sign was "Load Master 6" and the aircraft was called "Load Master". CPT Griffin had replaced CPT Charles E. Gamm as the CO of the 573rd. 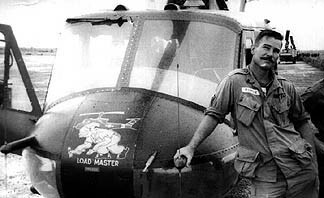 It is possible the name "Load Master" began with CPT Gamm. 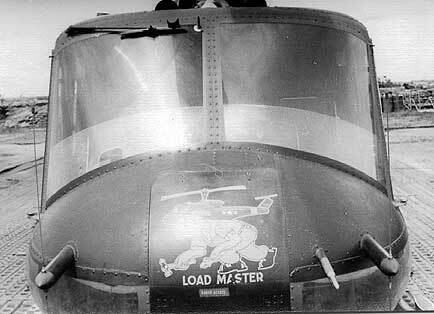 The name and call sign "Load Master" apparently remained until about six months later. See info on "Bird Watcher" below for info on the changed name. 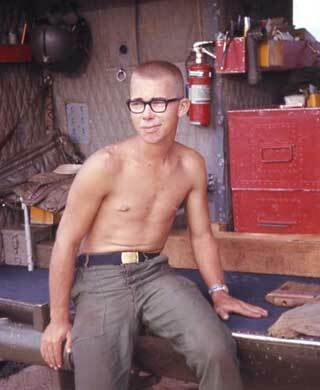 It is believed that SGT Westcott was the Crew Chief of "Load Master" when it was replaced. 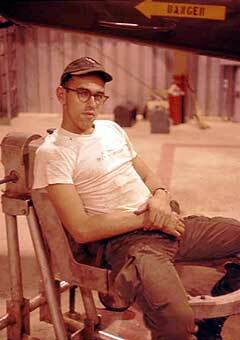 SP4 Jimmie Pirtle who flew with "Load Master" as a crew member. SP4 Pirtle was in country and with the 118th for close to 4 years. 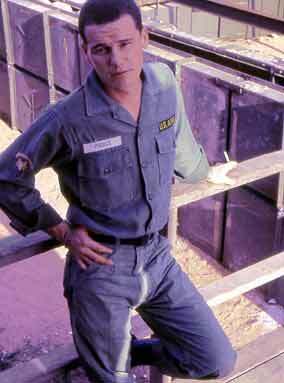 During that time he served in most of the flight platoons. 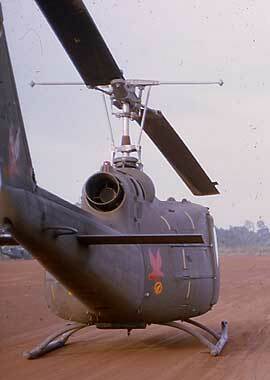 NOTE: Why does the "Load Master" UH-1B above have only ONE windshield wiper? 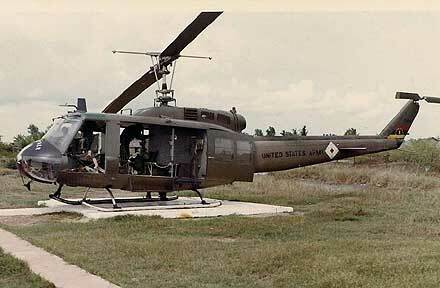 Was this airframe actually a modified UH-1A? "Load Master" crew having a cup of coffee. 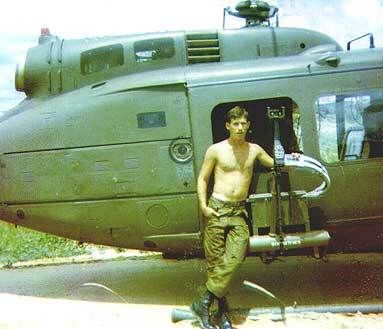 "I was the clerk in 573rd Maintenance that kept the time on each helicopter, as well as other records. 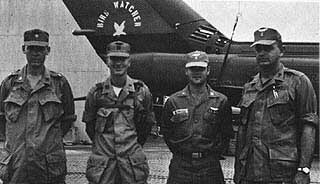 It was MAJ. Phillip E. Williams and CPT Niles C. Clark who renamed the maintenance recovery aircraft to "Bird watcher" in May or June of 1966. We had received some new "D" models and one was designated for the new recovery ship. The old recovery ship, a "B" model, was called "Load master". 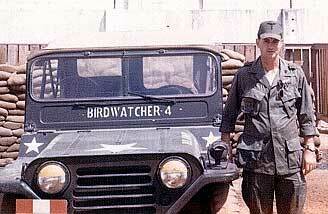 SP4 Elsinger was the proud Crew Chief on the new "Bird watcher". 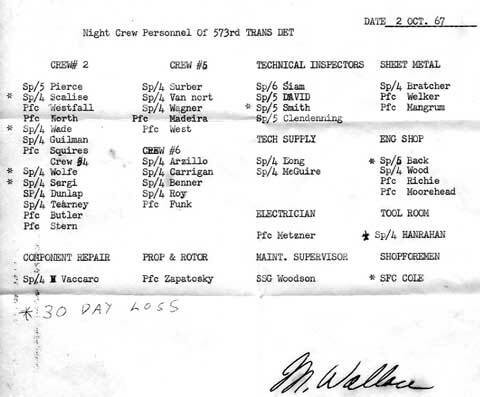 SP5 Tauer flew as a mechanic and SP5 Ryal flew as an engine mechanic. The Technical Inspector was SP6 Hawkins and he flew along too. new 4-69 and stayed until 8-70 flying 790 hours. 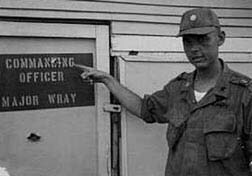 MAJ Donald Wray, CO of 573rd Maint. Det. 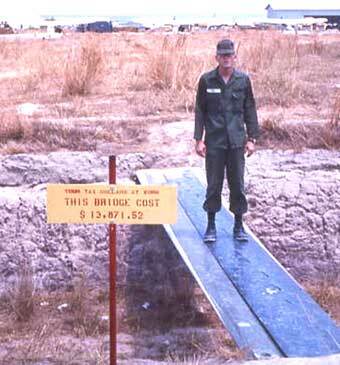 from Sep 66-Sep 67, points out shrapnel holes from mortar or rocket attack. 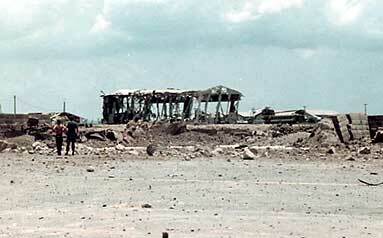 Mortars were lobbed into Bien Hoa Air base fairly indiscriminately, at night . 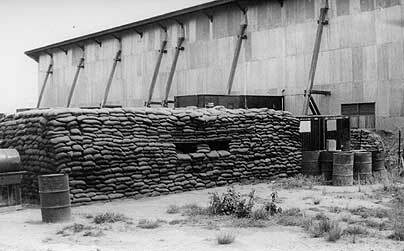 Rocket attacks were also launched at night but, due to their low trajectory, often produced more damage by "spraying" shrapnel over a much larger area. Bird Cage area the building sat or how the overhead wires were dealt with?? Few people in the 118th, other than the Officer of the Day (OD), comprehended the amount of maintenace accomplished while many were asleep. 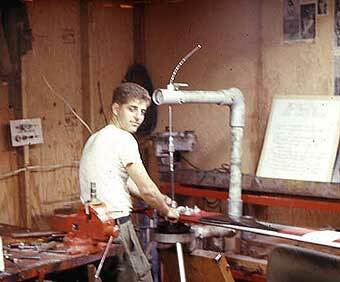 Bill Langan, aka "Sparky" was one of the aircraft electicians in the 573rd Maintenance Detachment during the 66-67 time period and worked much of his year long tour at night. About the only time many pilots saw the work being done at night was when they drew the additional duty Officer of the Day. 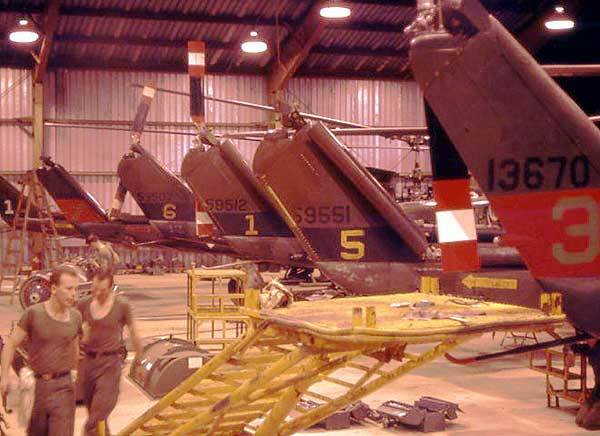 One of their main duties as OD, other than dozing in a chair in the Orderly Room between guard checks , was to have the duty driver take them to the flight line to run-up or hover a repaired helicopter back to its revetment. That was always a hoot, especially at night with only the pilot up front! A very busy night for the night shift of the 573rd Maint. Det. Back Row L to R: Larry Serber, SFC Larry Cole, ?, ?, ?,Ted Metzner, Walter Myers, Tom Wolfe(bike), ? Squatting L to R: ?, Sugamoto, Jerry Needham, Swargert, Bill Langan. 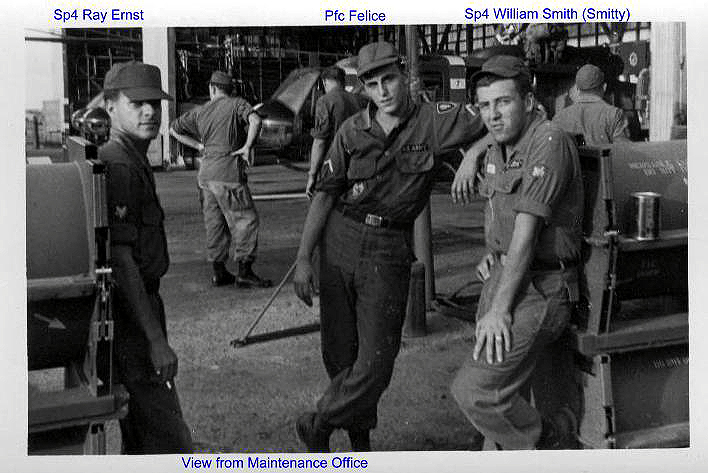 L to R: Ray Ernst, Felice and William "Smitty"
behind the old 573rd maintenance hanger. break out-side the big hanger rear door. 573rd Maint. Det. 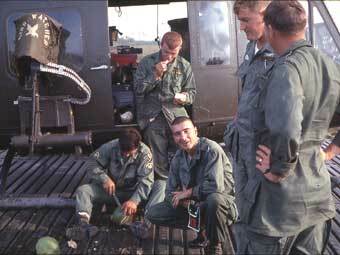 "Head Shop"
with the 118th AHC "Thunderbirds". Daniel Elway sitting in "Bird Watcher". In foreground, Bandit 7 getting new tail rotor. we are talking about the ROTOR HEAD ! 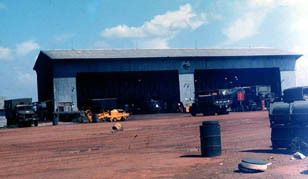 Parts & Tool Supply in 573rd hanger at Bird Cage. The "Birdwatcher" crew getting ready to eat melons. Looking S.E. from back of 573rd Trans. Det. hanger. 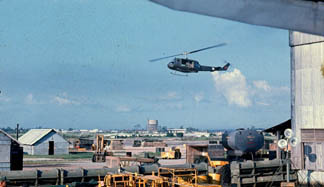 Note water tower at Bien Hoa gate(68). at EM barracks second floor balcony. to the 118th new 4-69 and stayed until 8-70. Bird Watcher aka "Rainbow 6"---DOWN !! 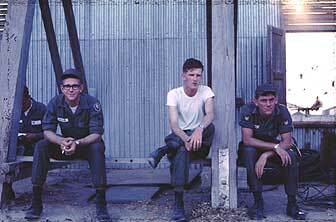 I was with the 118th from Aug 67 to Aug 68. 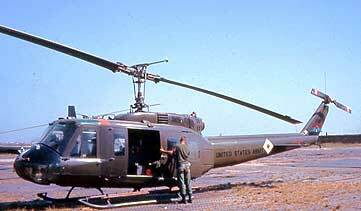 Initially, I was the Crew Chief of Red 8 but, spent 6 weeks in Japan (7th field Army Hospital) from 27 Nov 67 to 15 Jan 68. 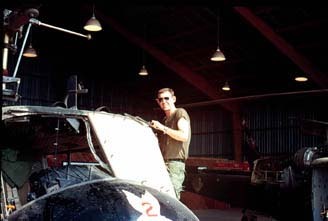 I returned to the 118th and was Crew Chief of Red 7 and after being shot on (March 23rd 68), I became the Crew Chief of the Bird Watcher Rainbow 6. My name is Lanny M. Hansen and I was a SP5. We got the new ship 66-17082 on 16 Feb 68. Rainbow 6 was an H Model with a D Model engine and only 84 hours on it. It was the only new ship I ever had. The compressor section of the turbine engine blew, maybe from ground fire, and we went down hard and totaled the ship. From my personal diary I wrote "1 Mar 68- Today started off good then went bad. First off, the ships were going into the first L.Z. and they took fire. No ships took hits but one Crew Chief was killed also an ARVN on board. Both got shot in the neck." Then at 11:15 am , we were flying at about 2300 ft. when something exploded somewhere around the engine. The ship rocked and down we came. The pilot apparently flared out to soon and we stopped about 30 ft. above the ground and dropped. The blades swooped down and chopped off the vertical fin. Then everything, from the synchronized elevators back, flew off. Both pieces hit with in 10 ft. of my side of the ship and the skids were collapsed. We all got out OK". 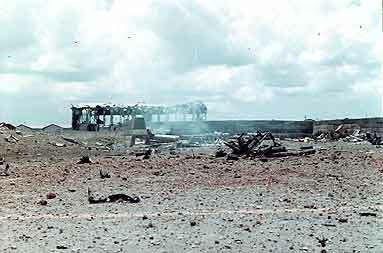 I do not know what ARVN unit was being inserted that day or who the ground troops were that secured the area of the crash. 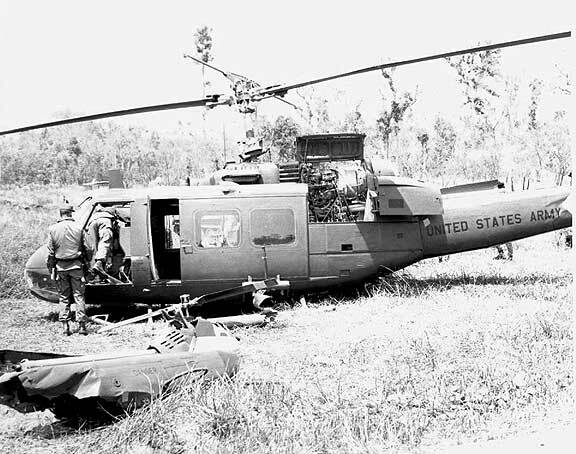 We stripped the helicopter of guns and other equipment and were picked up by one of the slicks fairly quickly and were gone before the ground troops showed up. That morning when we got up a Crew Chief, SP4 Stanley R. Lewter, was white as a ghost and said he was going to die that day. Several of us told him not to fly. He said it was his destiny. We pitched in and gave him several chicken plates. 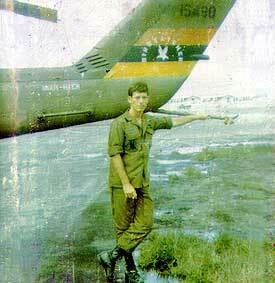 The first flight in, he was shot under the chin and was KIA. Moments later was when we went down. This was all north of Vung Tau around Xuan Loc, some place. 573rd Hanger, Before and After! 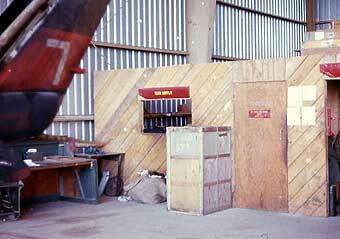 The photos below show contrasting images of the 573rd hanger in 1968 and 1973. 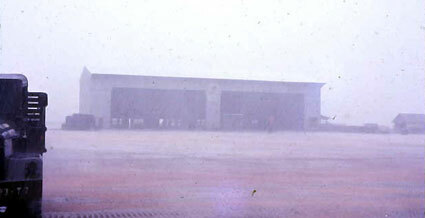 It is the same hanger, however in 1973 the hanger had been in the possession of the VNAF for approximately 2 years. 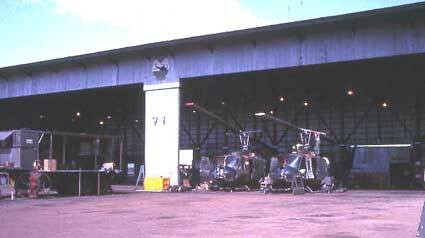 The 118th AHC stood down and turned over their aircraft and the hanger about April 1971. 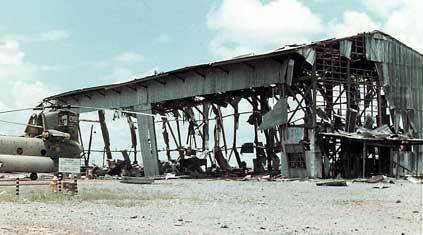 According to Willis Long, a VNAF bomb storage in an old concrete revetment behind hanger exploded...reason, unknown. 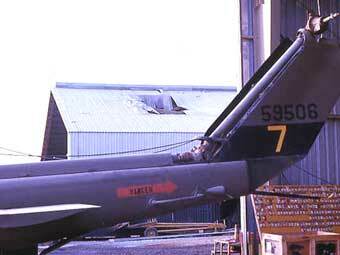 The 573rd logo has been painted over but can still be faintly seen just below the roof on the tin area between the two hanger openings. If anyone knows more details, contact the Web master. Hang in there....more to come!